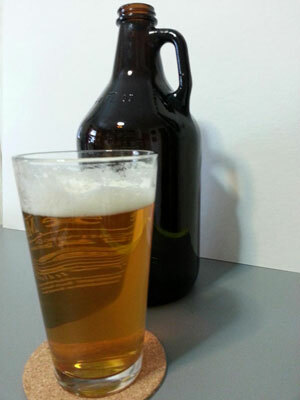 A new law beginning today expands the availability of containers of beer known as growlers. Iowa Alcoholic Beverages Division spokesperson Robert Bailey says the growlers are jug-like containers that range in size from 32 to 72 ounces — and are already sold at craft breweries and brew pubs. There are some rules for selling and buying the growlers. He says it has to be filled when it is ordered, the growler has to be sealed. “So that when I take it back to my car I don’t get caught with an open container violation. And the person that sells it to me had to be 18 years of age,” Bailey says. You may be able to bring in your own growler to have it filled, or buy one at the site. “It depends on the retailer. Some I think will take your growler that you bring in, clean it or just fill another one and give it to you. So, there’s going to be a lot of variations on that business model,” Bailey says. He says IABD has some guidelines for those who are considering selling growlers. Bailey says they are in the process of creating administrative rules for selling growlers. But they do have information on their website as he says there are not only alcohol rules, but there are also food inspection rules. “It is considered a food-serving situation, so anyone interested in serving growlers also needs to check with the Department of Inspections and Appeals to make sure they meet those sanitation requirements,” Bailey says. Bailey says it is a big investment to begin selling the growlers, so it is important that businesses understand that before moving ahead. For more information on growlers and other alcohol policies, regulations and licensing requirements, go to: www.iowaabd.com.